E-books are a very interesting Internet phenomenon. The invention of e-books enables any author to publish by themselves thus bypassing the critical approval of a traditional publisher. An ebook is a book that is available in electronic format. Usually eBooks are available in Adobe PDF or eBook Reader format, or in Microsoft's LIT format. Through ebooks author can be published in ways that would fail the bookshelf tests of publishers but that does not mean that they don't sell. They do sell if they are marketed at the right audience. As an affiliate though the key thing you may want to know is that because each copy has minimal costs to the author, because we are talking about downloads here, the average commission paid can be very high indeed. Here are the Ebook affiliate programs that we have been able to identify so far. 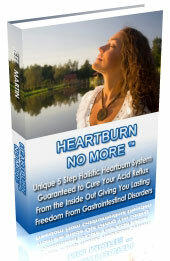 HeartburnNoMore.com - Heartburn No More is a unique 5 step holistic acid reflux system guaranteed to naturally eliminate heartburn from the root. Affiliates earn 51% ($18.34) commission on sales (Pay Per Sale). Affiliates can join the exclusive affiliate ezine and gain access to the affiliate resource and training center with proven promotion tools (text links, banners, ecovers, ezine ads, solo-emails, mini-sales letters and independent reviews). Higher Awareness - Offer personal growth workbooks and daily inspirational newsletter. Empower people to outperform themselves. 30% commission on 20 programs plus high end coaching and training services (up to $180 commission for one sale). Powerful online workbooks and 30 days of email support on time management, creativity, goal setting with year long support, journaling, creativity, intuition, awareness, life purpose, awareness, manifesting prosperity and emotional healing. Houseladder - UK's leading property site helping agents, private sellers and landlords sell and let property online. 2 tier commission with recurring payments on all future sales from customers your refer. Earn commission of up to £30 per sale. Special landing pages whether you refer an estate agent, private seller or landlord. FREE to join. Sign up now! How To Be An Expert Persuader… In 20 Days Or Less - Whatever you want to do in life, you need the cooperation of other people. Learning how to persuade other people is essential to success in any aspect of life, whether we're talking sales, business, dating, or even parenting. "How To Be An Expert Persuader" is one of the best books I've seen on the science of persuasion. Michael Lee leads you by the hand and gently guides you through the wild jungle of NLP theory and techniques to guide you to the knowledge and skills that will enable you to accomplish anything and everything you want in life. Once you've finished this book, you will find persuasion to be an easy and natural skill to use. High conversions w/ persuasive sales copy. Includes rock-solid testimonials from established experts. In addition to your 75% commission (plus bonus incentives) on the Expert Persuader course, you'll also earn 75% commission on back-end products. For every 10 affiliate sales you make at any given month, you will receive an additional $50.00 at the end of the 2nd succeeding month. So aside from your 75% share of the profits paid through Clickbank, you also get an extra $50.00 for every 10 sales you make. How to Beat Fibromyalgia and Chronic Fatigue Syndrome in 40 Days - The ONLY Fibromyalgia and CFS treatment protocol that directly targets the causes of your illness, and by so doing simultaneously eliminates your symptoms and can start to make you feel noticeably better within 6 weeks. Find out about new research which has lead a select few scientists and doctors to finally identify and understand the real causes of Fibromyalgia and CFS. Discover what it is, that is at present "maintaining" the devastating Fibromyalgia and Chronic Fatigue Syndrome symptoms for such long periods, and why they keep returning, just when you think you are over the worst. Hear about the recent breakthroughs that have led to the development of a unique combination of treatment protocols that if you practice daily, will ensure that you are reversing the core damage, and how this will ease your recovery from Fibromyalgia and Chronic Fatigue Syndrome and its devastating spectrum of symptoms. You earn generous 75% commissions on every sale of "How to Beat Fibromyalgia and Chronic Fatigue Syndrome in 40 Days" that has been recommended by your site. How to Overcome Dandruff - is a quality ebook, great for the alternative/natural health market. Affiliates earn 50% commission on sales. Kobo UK - An eReader for everyone. All Kobo eReaders add comfort and convenience to your reading experience and are designed specifically for those who love to read. Enjoy great features, such as: Lightweight and portable; Dozens of custom font types & sizes; Built in ComfortLight for better nighttime reading; An anti-glare, book-like screen; Months of continuous battery life; Built in dictionary; Note-taking and highlighting capabilities. There’s more to love with over 5 million titles. Our library is huge and it’s always growing. From today’s bestsellers to yesterday’s classics–and everything in between. Sounds overwhelming, but with the help of our on-staff Booklovers, we’ve curated them all into lists you can browse with ease. There is something for readers of every age. Check out the hottest Teen and Young Adult series or get them reading even earlier with over 100,000 kids’ titles to choose from. Find them all in our safe and dedicated Kids' Store. Earn 5% commission on sales. Magic of Making up - Did you know that most relationships CAN be salvaged? You may find it difficult to believe that almost every break up for whatever reason…infidelity, plain old lost passion, loss of interest, a stolen heart and worse...even the worst situations you can imagine…like men serving prison sentences have salvaged their relationships. Yes, even Ex-cons have got back together with girlfriends and wives after being away for years! Please allow me to introduce myself…My name is T.W. Jackson, I know kinda weird…it's a long story…you can just call me "T Dub"…I want to say right off the bat, that I am not a psychologist, Doctor or some relationship guru…In fact I royally piss off the academic types and I'll tell you why in a second… I have been a military brat…or in the military for a majority of my life. In fact I joined the US Navy when I was a ripe old 17 years of age. Because of my life long military experience I've had dozens of homes…in 11 countries... and lived long term in 5 states in the U.S. And because I have lived in so many places and changed schools so often as a kid…I had to learn…and learn REALLY FAST…how to get along with people. And people from ALL WALKS OF LIFE. I can sit down and have some sake with my friend in Tokyo…or pop open a can of suds and fish Lake Dardanelle with an Arkansas "redneck" buddy of mine…makes no difference… More importantly…I became really good at reading people, understanding what makes them "tick" and even got to a point where I could influence their behavior and actions. In fact, I got quite good at doing this, so good in fact that I was the "go to" guy whenever my friends had just about any kind of "people problem"…I kind of felt like the male version of "Dear Abby"... Maybe you even know someone a little like me?...someone that you go to when you have "people problems"… Anyway…I got a ton of practice keeping relationships together…and putting them back together after they had come apart…because the divorce rate for military couples is MUCH HIGHER than average. Earn 75% commission on sales ($37.00).